Now, visitors might expect to meet Woodie Long, Bernice Sims, Charlie Lucas, The Meaders Pottery Family, Myrtice West, Sarah Rakes, Annie Wellborn, Purvis Young, Lonnie Holley, and hundreds of other interesting characters who make this art form so much fun to collect. Over the past fifteen years, Folk Fest has become the largest and most important event in the history of Folk Art. Prestigious galleries and dealers from all over The United States, Canada, Mexico and Europe, specializing in self-taught art, Outsider Art, Southern Folk Pottery and and now with a special emphasis on Antique Folk Art and Anonymous Works fill the cavernous 85,000 square foot facility at the North Atlanta Trade Center. Annual attendance consistently soars past 12,000. 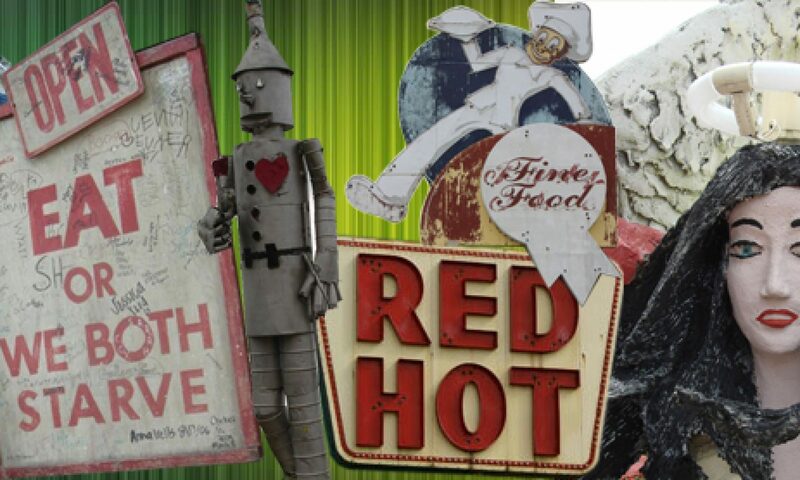 Visitors pour in from all over the country to see what is hot in the world of folk art. Folk Fest is the place where museums, prominent galleries, important publications, and serious collectors make their new discoveries. Anton met Mose T in 1970 when he was displaying his paintings in trees in his yard and selling them for $10 each. In 1982, she was instrumental in getting his art included in the Corcoran Museum of Art’s Black Folk Art in America 1930-1980 exhibit, which really brought about making him famous. Anton’s website is here and she told me that besides her book, she will be bringing some Finsters, Sudduths, Sybil Gibson, Willie White, and other pieces for her Folk Fest booth. Marcia will also be showing at Folk Fest and said that some of the artists she represents, Ruth Robinson, Welmon Sharlhorne, Tory Casey, and Bennie Morrison (he sometimes paints on turtle shells) will be attending the show too. Marcia has one of the *most amazing* list of artists in the folk/visionary/self-taught world. Take a look! Can’t wait to see what she brings with her too.